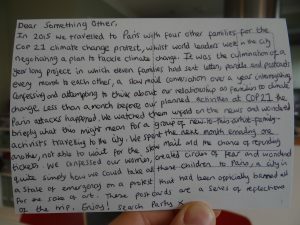 Check out our new documentation project Postcards from Paris which is part of the ‘On Ecologies’ chapter of online performance writing archive Something Other. 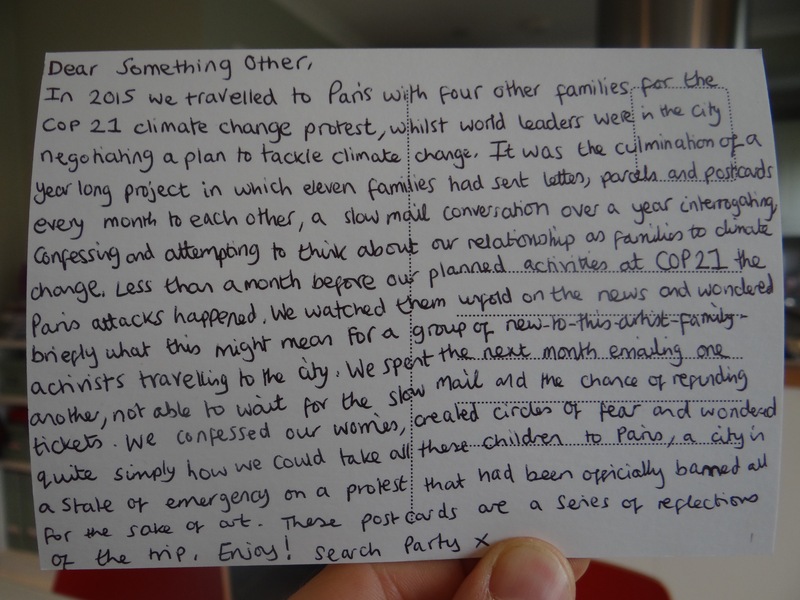 Postcards from Paris is a series of 14 handwritten postcards that documents our experiences of the D12 Redlines protest at COP21 in Paris 2015. 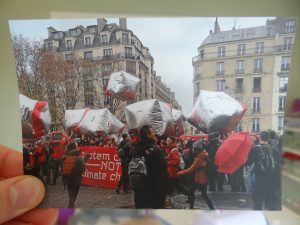 The Paris protest was a part of our work with FAN, where our family, along with a collection of other families made up of artists, academics, teenagers, children, toddlers and babies travelled to take part in the climate change protests marking the signing of the Paris Protocol.